An expert in open systems and solutions, Munjeet Singh drives the vision, investments, market strategies, and industry relationships for Booz Allen’s enterprise cloud computing business. Working closely with a crew of data scientists, he helps Booz Allen clients transform their enterprise systems and applications by leveraging the power of the cloud coupled with data and analytics. Munjeet’s team helms the firm’s services in open source software solutions and business models, and works closely with clients to institute and implement solutions that address enterprise requirements using cloud infrastructure and architecture expertise. These solutions are the foundations of ongoing transformations for numerous clients, including in mission critical systems that are responsible for the processing of millions of transactions daily. His team’s clients include Fortune 500 companies and Federal Government entities such as the U.S. Army, the U.S. Navy, and the Defense Information Systems Agency. 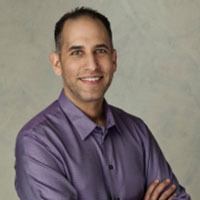 Prior to joining Booz Allen, Munjeet was the infrastructure manager at Nextel. There he managed the development of a business continuity planning model, and the engineering of over 2,500 mission critical UNIX-based systems that are core to the overall wireless telecommunications network.